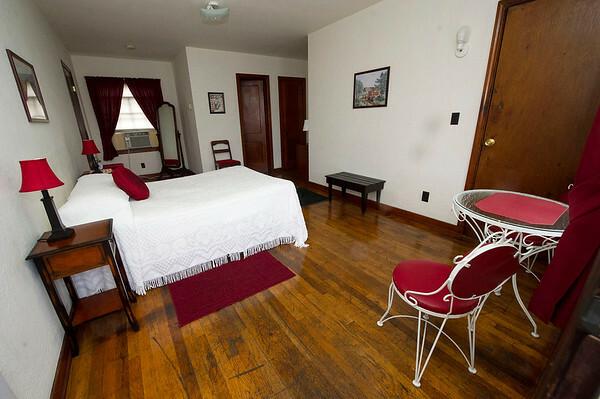 Carthage's Boot's Court room 12 features a red and burgundy design with hardwood floors. Boot's Court is a staple attraction for tourists on Route 66. The interior of the rooms are decorated in a late-1940s design.